Would you like to meditate but don't know where to start? Would you like to experience the benefits of group meditation? Would you like to meet and network with other like-minded people in London?Then come to Meditate andamp; Mingle and join our vibrant, conscious community at Space 88. We offer a safe, welcoming environment where people can come together. To meet. To discuss. To meditate. At Meditate andamp; Mingle, we create the space for you to leave your busy day behind and connect with yourself again. We think what we offer is truly unique - an opportunity to experience the benefits of group meditation and participate in some interesting discussion in a safe, alcohol free space. All are welcome, no matter whether you are a complete beginner or experienced meditator. In the April edition of Meditate andamp; Mingle, we welcome back Susanne Haegele of Yoga-In-Action, who will be leading the meditation. Susanne is an experienced yoga andamp; meditation teacher of over 10 years and is passionate about yoga for women's health. Space 88 is located on Gloucester Place, at the London Continental Hotel. It is approximately 4 minute walk from Baker Street tube station, and 10 minutes from Bond Street tube station. Please feel free to come as you are dressed for the day. Chairs and sofas are provided. 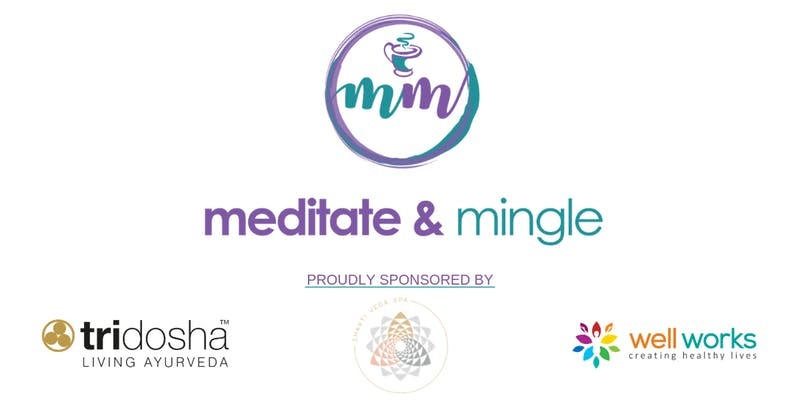 Meditate andamp; Mingle is proud to be sponsored by Sunita Passi of Tri-Dosha, Rae Guerrero of Well Works as well as Zane Zalite of Shakti Veda Spa.